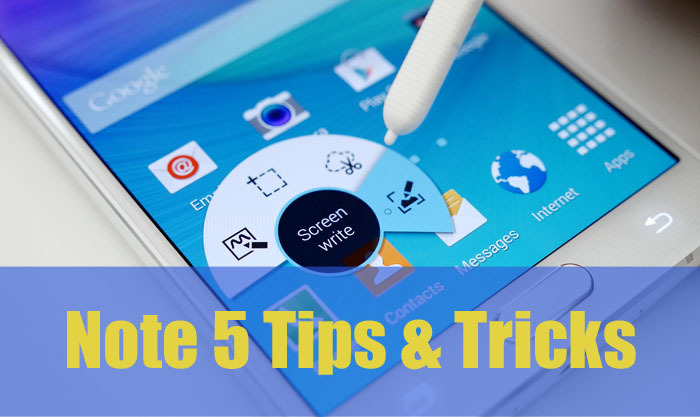 This is a series of Tips, tricks and hidden secrets of Samsung Galaxy Note 5. Learn how to most out of your Galaxy Note 5. What do you think about Galaxy Note 5? Many people buy the stunning Galaxy Note 5 but end up struggling with its features or even basic functions like taking a screenshot. Within the first hour of introduction with this device, most of people think if they were stupid enough to buy this ‘dumb’ machine, which seems quite useless. But hey, you might blame yourself to be stupid for a while, but what about the company and tons of positive reviews that are excited for exploring the immense power of the same device as yours? Samsung brags a lot about the powerful features of Galaxy Note 5. Even tech giants are found admiring the incredible features of this phone (so called). Do they all lie? Explore the web and you’ll find massive number of reviews, blog posts, tutorials and comments only for Note 5. Hard to believe? Just stop reading here for a moment and type the name of this phone in any search engine (Google or Bing); hopefully you won’t be able to return back and read the rest of this guide before a day or may be a week. Actually, Galaxy Note 5 is an incredibly worthwhile device. All you need to know is to get familiar with the features. It requires you to explore it in right way as it’s not purely a phone nor a tablet, it’s Note (Samsung says so and it says right). You really need to discover the way which works for these special devices. Still having Note 4 too? You may like to make Galaxy Note 4 Super Fast. This is a series of tutorials including tips and tricks, hidden features, better power management, tweaks and more. Please follow the link below which will take you to the reference page where you’ll find the list of tutorials and tips.